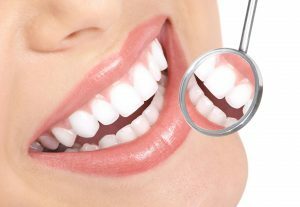 Where can I find a dentist office in West Chester? Under certain circumstances, sometimes it is necessary to remove a problematic tooth to ensure the health of your smile. At West Chester Dental Center, we employ sophisticated technology and advanced treatment methods to provide gentle and effective tooth extractions. Whether it is a baby tooth that hasn’t fallen out naturally, a severely compromised tooth, or a poorly positioned wisdom tooth, you can be confident that you will be provided with a pain-free extraction. New patients are always welcome to our dentist office in West Chester, your resource for exceptional dental care. At our dentist office in Westchester, you can expect to receive the highest levels of individualized attention. 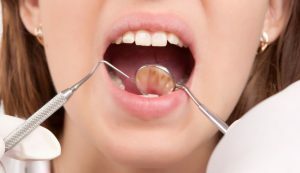 We understand that the prospect of a tooth extraction may leave some patients feeling anxious. Our compassionate staff offers a selection of sedation options to induce a calming state of relaxation before treatment. Before your extraction, our dentist will take diagnostic films and discuss your options for a replacement tooth. As a leading dentist, we offer a wide array of restorative options including premium, crowns, bridges, and implants that will blend seamlessly with your smile. Once the tooth in question is extracted, our helpful dental team will provide you with post-op guidelines on how to care for the area, manage any temporary discomfort, and what food and beverages are best during the healing process. Our staff will also schedule you for any necessary follow-up care. At West Chester Dental Center, we have helped many patients remove compromised teeth and restore their oral health, and we are confident we can do the same for you. It is our goal to keep your smile in excellent condition from the start. For more information on any of our general, preventive, cosmetic, and restorative dental services, and to schedule an appointment, call our dentist office in West Chester today. This entry was posted in Dentist Office and tagged 45069, Cosmetic Dentist, Dental Exam, Dental Extractions, Dental Office, Dentist, Dentist Office, Dentistry, Extractions, West Chester on December 11, 2017 by admin.